The best New Orleans brain injury lawyers know all brain injuries are different and depend on the amount of force that impacts the head. Great Louisiana brain injury attorneys understand that a traumatic brain injury (TBI) is a blow to the head affecting the function of the brain. 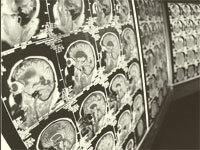 Brain injuries are injuries that are not hereditary, congenital, or induced by birth trauma. Injuries to the head can range from mild concussions, comas, and even death. Two major types of brain injuries are concussion, and contusion. A concussion can be caused by direct blows to the head, gunshot wounds, violent shaking of the head, or force from whiplash type injuries. Closed and open head wounds can cause a concussion. Furthermore, that is not to say you can diagnose yourself with this information. In addition to concussions, another common brain injury is a contusion. A contusion is the cause from direct impact to the head. A contusion is the same as a bruise but on the brain. This means there could be potential bleeding on the brain, and depending on how large the contusion it may need to be surgically removed. It is difficult to Asses how serious a head injury is. Minor head injuries can bleed a lot, while some major injuries may not bleed at all. Furthermore, it is important to seek medical attention for any type of brain injury. Head injuries can be caused by two categories, blows to the head and head injuries due to shaking. Injuries due to shaking are most commonly found affecting infants and small children. However, brain injury can occur from violent shaking. Head injuries by a blow are common with motor vehicle accidents, falls, physical assaults, and sport-related accidents. Because there are millions of American living with brain injuries a need for legal assistance is necessary. Brain injuries can be severe and life altering. Some people are unable to work, or provide for themselves. Americans who suffer from a brain injury caused by another person, company, or corporation should be compensated for their lost. If you or a loved one has suffered from a brain injury it is important to seek legal council. Medical bills have pilled up, and insurance payouts are taking a century. This can become tedious, and overwhelming for those who are affected by a brain injury. The immediate goals off brain injuries traumatic experience is to get medical bills paid, and making sure a person does not suffer financially. Damages for typical brain injury case are almost always over $100,000. Lost of earning capacity is the first loss that is taken in consideration with brain injuries. Brain injuries result in to trouble focusing, uncontrollable anger, memory problems, and fatigue, which limits the ability to work. In addition to loss of earning capacity is life care cost. Essential a person with a brain injury will need physical therapy, medication and help with daily activities. Furthermore, the court will asses pain and suffering/Loss of enjoyment of life. If you or a loved one is suffering from a brain injury you want to make sure you are compensated for that injury. After a settle, insurance pay out, medical bills are paid. What about physical therapy, and on going life-altering cost? An experienced lawyer will understand clients needs and their financial responsibilities in order for their client to afford the altering lifestyle.